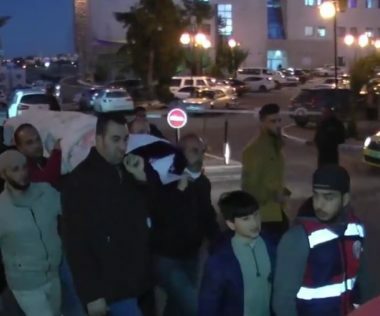 The Israeli Authorities handed, late of Friday evening, the corpse of a Palestinian child to her family, 36 days after killing her and holding her body. Samah was walking in an area of the military roadblock only designated for vehicles and not pedestrians when she was fatally shot from a close range. The Border Police examined her schoolbag, which was filled with books, and school stationary.